On the occasion of the 45th anniversary of diplomatic relations and five years of strategic partnership between France and Vietnam, during the official visit to Vietnam, on the morning of November 3, French Prime Minister Édouard Philippe attended the inauguration ceremony of the Lycee Francais Alexandre Yersin and exchangd with French language students in the city of Hanoi. 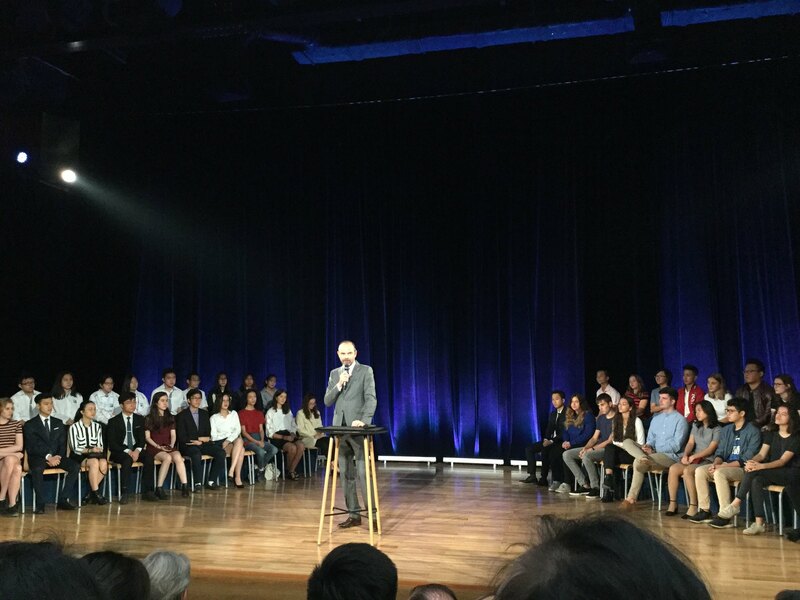 Participants in the exchange included the Secretary of State for Digital Affairs, Mounir Mahjoubi and Cédric Villani, a mathematician who was awarded the prestigious Fields prize and is currently in charge of artificial intelligence research in France, along with French-learning students from Lycee Francais Alexandre Yersin, Hanoi - Amsterdam High School, Chu Van An High School, Hanoi Medical University, University of Foreign Languages, Foreign Trade University, and Foreign Affairs University. 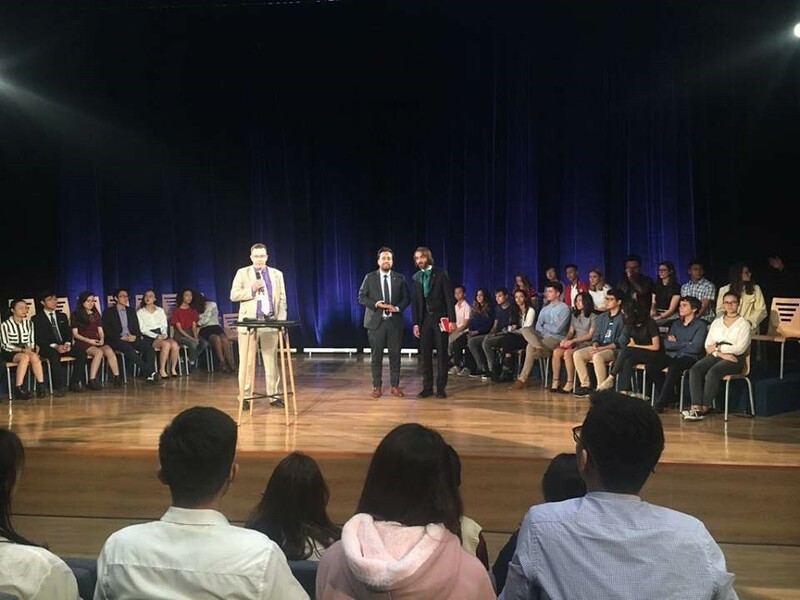 At the beginning of the meeting, Vietnamese students were given the chance to hear from Mr. Mounir Mahjoubi and Mr. Cédric Villani on digital issues in the 21st century, opportunities and challenges, information technology, entrepreneurship. and the importance of mathematics in many aspects of life. 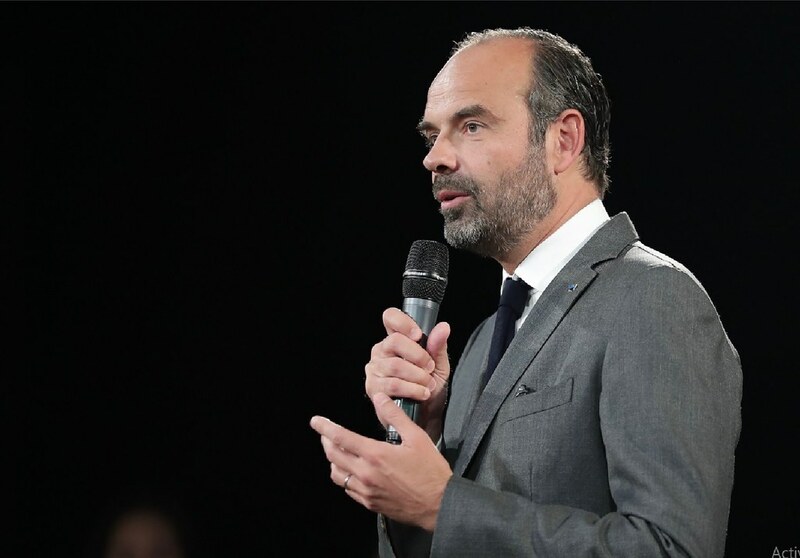 Prime Minister Edouard Phillippe expressed his delight at visiting French-learning students at the Lycee Francais Alexandre Yersin and wished to strengthen bilateral relations. He proposed a joint effort to formulate solutions to the intellectual and training challenges of the present. He also emphasized the importance of learning French - the key to open doors of opportunity in the future. In addition, today's learning is not only confined to academic disciplines, but also includes learning styles, new perspectives, and the cultivation of cultural awareness. Thanks to the charisma and affableness of the French Prime Minister, the atmosphere of the exchange became much more enthusiastic. 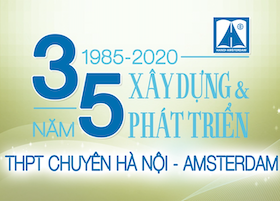 Questions are raised around the issues of climate change and environmental pollution, cooperation between the two countries, competition in the job market, the role of France in Vietnam, etc. Finally, the French Prime Minister and the delegation of Vietnamese students made a trip around Lycee Francais Alexandre Yersin, where French and Vietnamese cultures blends in one of the most breathtaking French academic institutions in Asia. The school is under the direct management of the French Education Agency abroad, the only school network in the world that consists of 492 schools, welcoming nearly 350,000 students from kindergarten through high school in 137 countries. The curriculums at these schools are all based on the French curriculum. The PM hopes that this new school will become an ideal place for children to learn and explore themselves. 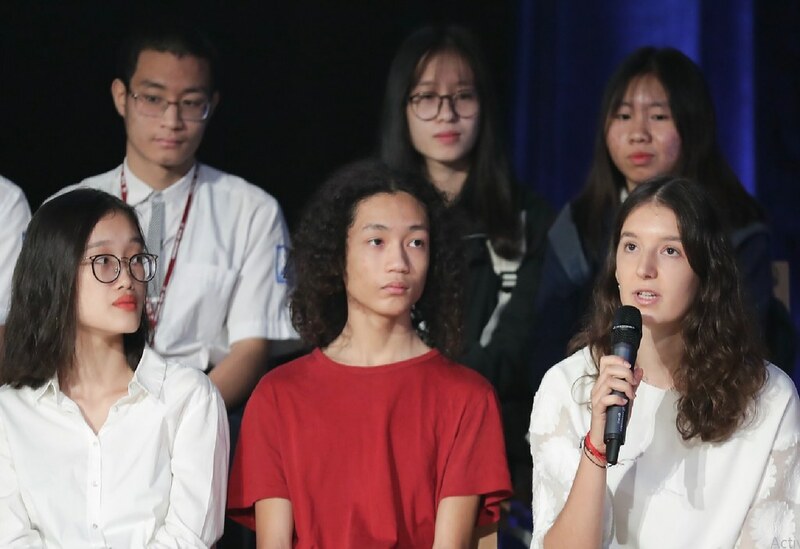 The meeting had instilled in French students in the Hanoi in general and the Hanoi-Amsterdam High School students more drive and eagerness about the French language, as well as bolstered the Vietnam - France long-established relationship.